Before going over to upma, the word upma always reminds me of one particular dialogue in one Tamil movie. I have forgotten the name of the movie but it's a Balachander movie with Mammootty, Gauri, Madhu & Sripriya. In that movie Mammootty will be a hotel chain owner and he goes to one function to give a speech and he open the line with saying ..he is like Upma ie in hotel whenever everything else gets over then they make upma as last resort to satisfy the customer so he is also like upma since no one else was available to give a speech the organizer called him ! Hmm I guess am boring you guys..but it's kinda funny and quite interesting dialogue to think about ! So here am back to the recipe. 1. In a pan dry roast semolina for 3-4 mins or until it turns light brown and keep aside. 2. In the same pan heat oil add mustard seeds allow it to splutter, add curry leaves, choped green chillies, chopped onion and fry until onions turn light brown. 5. Add water and bring it to boil. Add salt and coriander leaves. 7. Cook for 1-2 mins more and upma is ready to eat. I did little changes to the recipe like for the stuffing I used raisins, cashews and a pinch of cardamom powder. 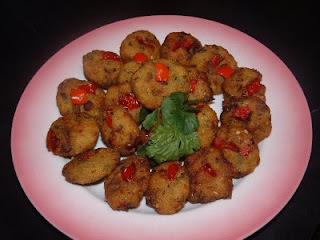 I also stir fry the wada instead of deep frying. And also I soak the wadas in curd for more than 2-3hr before severing. 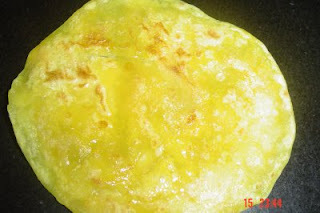 I have also used edges of the bread (as it not used in wada). 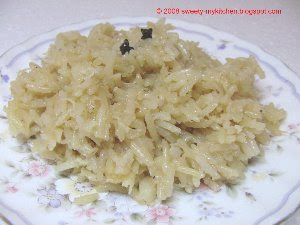 After frying the wada, I used the same pan, added 1tps of grated garlic and saute it. Added the bread edges, 1tps redchilli powder, 1/2tps turmeric powder, salt to taste and fry it in low sim for 10mins. 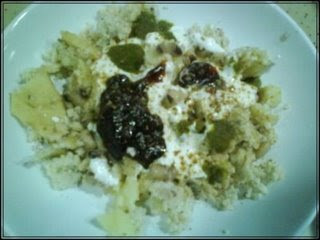 Severed with Mitthi chutney and tea as evening snack. Everything goes to Festive Food event hosted by myself and Purva. When we announce the Festive Food event, myself and Purva were very skeptical about it as we both are quite new to blogsphere but thanks to all the lovely people out there with whom support our first festive food event: Rakhi has been successful. Yes, I'll call it successful cause we were not expecting much but receive so much of love from all our fellow bloggers, we have received 33 entries from 20 participates. 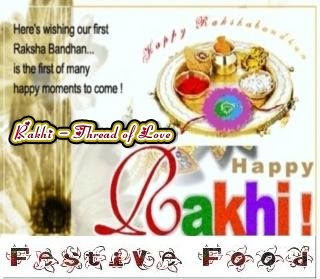 Thanks to everyone for taking part in Festive Food: Rakhi - Thread of Love Event. It's been a wonderful experience of hosting an event which enlighted us with so many different ways of celebration & that was the whole theme behind the event; to know each others culture, tradition and food :)..how can we forget food here ! So Friends, here we have some lovely Rakhi, Memories and dishes. Each and every post going to take you to the wonder land so be ready for the ride. 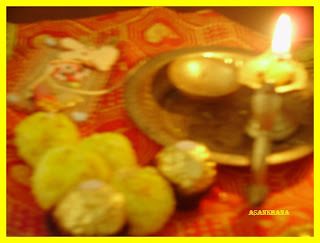 We have separated all the entries into Food, Rakhi and Memory (writeup) category. As expect it was dear Priyanka's post as first entry for event, I had this feeling and it was correct. She made some lovely Rakhi with Kalash and Swastik designs and very emotional writeup about her dear brother. 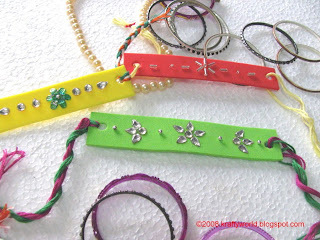 Sukanya have made some very simple and beautiful Rakhi. First I thought she brought it from outside (before she posted the procedure of making it) but after reading it up I was like WOW! So simple and yet so cute. Look at the Rakhi's made by EC and you will be amazed and confuse! Confuse to say which one is the best. She has made some simple lace rakhi, cutie cartoon one's and some beautiful beads one's which can be use as bracelets too. Here comes Anisheetu entry for the event. Have a look and tell me if you can say they are made from foam sheets. Adorable rakhi's and wishes to her brother. 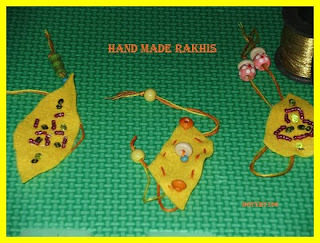 Sireesha made these cute Rakhi as she wants to give the personal touch. Check her blog to find how did she made them. 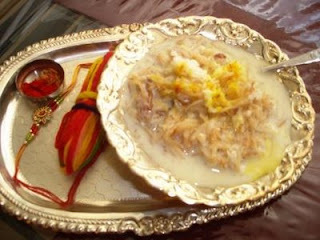 If you need some more information about Rakhi festival then check Jaishree's blog. 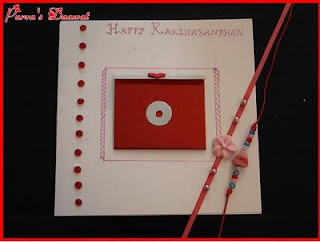 She has also prepared simple & elegant Rakhi and Greeting Card for her brother. 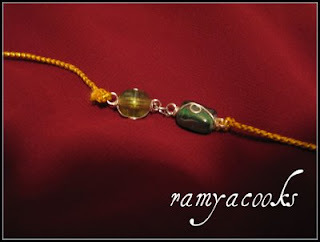 Ramya cooks and Ramya makes some creative stuff too :-)...beautiful Rakhi made by her for her brother. 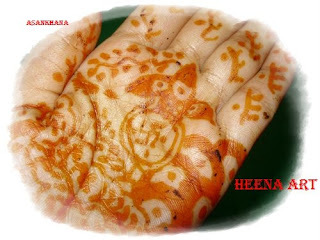 Priyanka have this lovely memory about the way of Rakhi celebration in her Mayaka, and some very cute Heena Art. 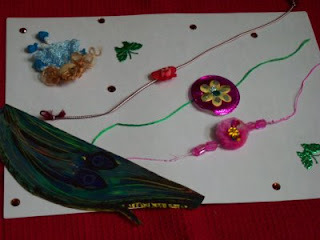 Dear Purva wrote some wonderful info about Rakhi and also how Rakhi celebrated in her house. 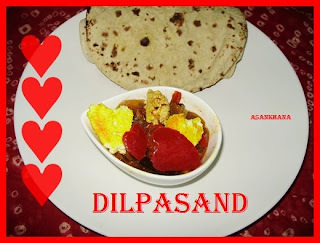 Dilpasand anyone? Check out Priyanka's blog, we got some lovely heart shape capsicum and paneer dish and who can say no to paneer ?...not me of course. I'm a out and out paneer fan and this one is very tempting. You don't have a brother so don't celebrate Rakhi or couldn't participate in this event? Then learn something from this bong gal Sudeshna. 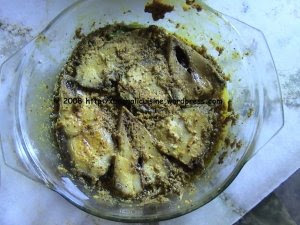 Check her blog for her way of Rakhi celebration and she prepared someone's favorite dish Hilsa with Steam. Shreya has made essential part of festive food in Kerala: Avial. 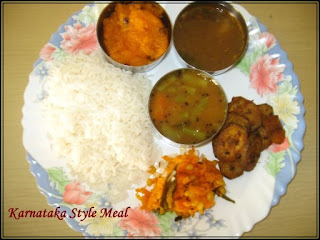 Try this very colourful avial with a twist of Bitter Gourd & Snake Gourd. 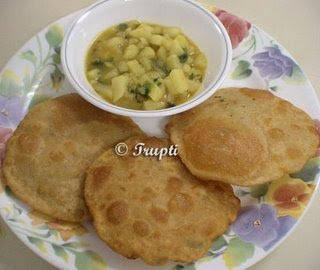 Tripti prepared traditional Mathura's festive food for Rakhi - Aloo Kachori with Aloo Sabji from her dear friend's recipe. 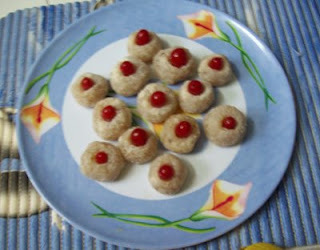 Jaishree from Ruchi made unique Pears Cherry Laddoos, looking so colorful and yummy and easy to make. 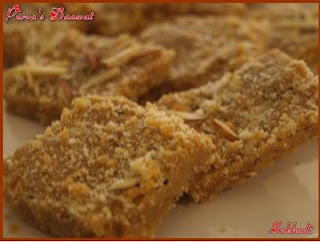 Suma made delicious looking Mal Pua for her dear brother and wishes for his well being. Siressha made Gulab jamun, yes the real sweet for any festive and she used no khoya or mawa check her creation to find out how did she made these tasty looking jamuns. Shreya prepared simple, healthy and colourful Chole Mur Mure Sev Chat & Gud Appam for her brother. Want to know what's Gud Appam...then check Shreya's work. 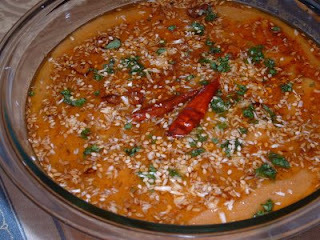 One more sweet dish from Bhawna, whom made traditional U.P's Rakhi dish: Mithe Jave for her brother and shared few good tips with us too. Festive food and no carrot halwa, how can that be? 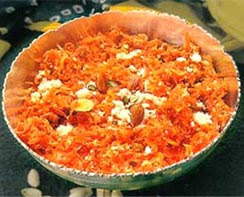 Kitchen Flavors from Yummy Food send over yummy Gajar ka Halwa entry for event. 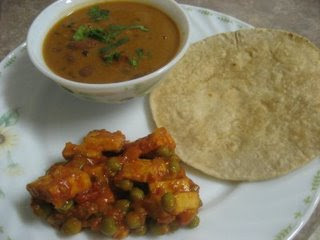 This year Rakhi being special for Karuna she made Dal Makhani & Mutter Paneer for her dear brother. So you think what's so special about this year's rakhi? Check her blog. 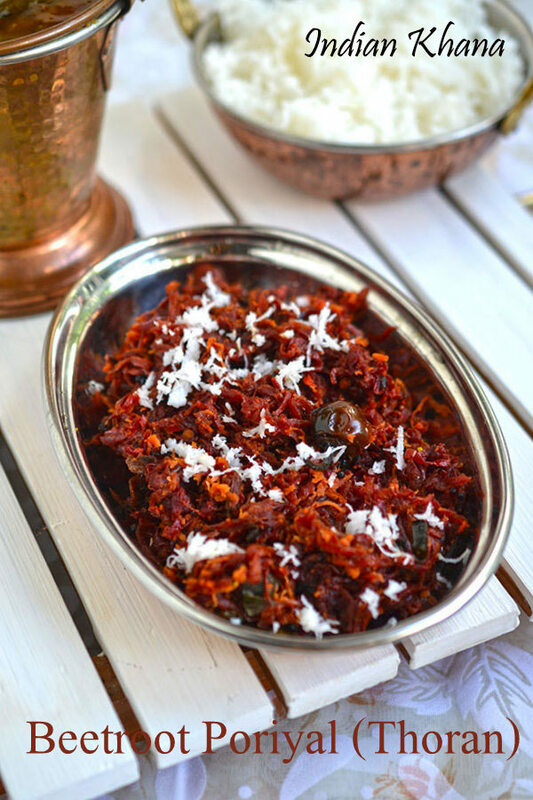 Here comes authentic Narali Bhaat from Anisheetu's kitchen. Rakhi's regular meal is Chole in Priyanka's house, so she following the same tradition and send us over some chole too but this time make it instant! 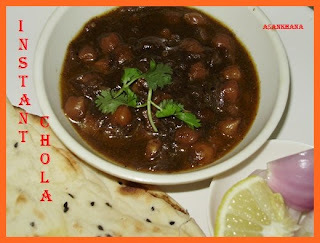 Have a look at her recipe to find how to make instant chole. 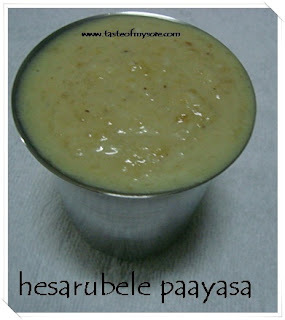 Dear LG made tasty and healthy Hesarubele Payasa (Moongdal Payasam) from her mother-in-law's recipe and also written some handy tips. 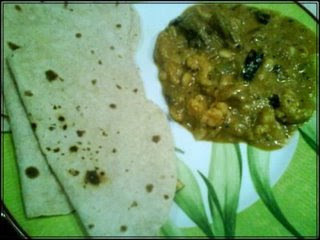 Jayashree made Poli for the first time and did turn up very good I guess, cause its looks yummy and perfect. Did you guys notice so far no seviyan (semiya) entry? 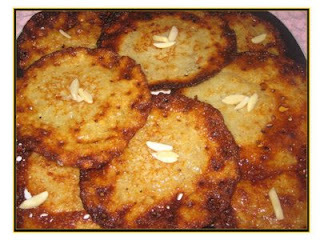 It's so true rite everyone of us make seviyan one or other time during any special occasion or festival. Well, then we do have Dudh is Seviyan this time too and this has been generously sent by Nidhi. Here comes Madhavi's entries for the event, in spite of not being well our courageous gal sent her family favorite recipes for the event. Thanks dear and get well soon. Next our Queen Victoria sent us American Paplu, wondering what's that? 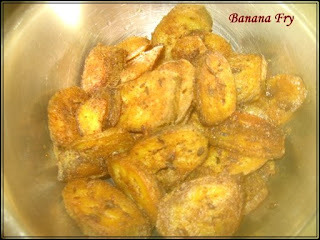 Check our dear gal recipe then and this post is Tribute to her Pa, lovely writeup..check urself. 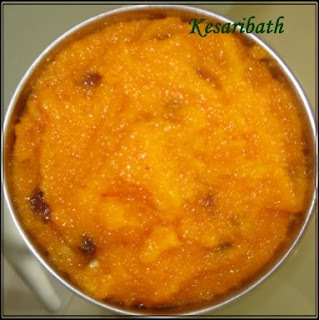 Next comes Dhekra, it's a south Gujarat special and Madhavi is more than happy to share with us the wonderful recipe. And here comes the traditional Gujarati Dal Dhokli. The yummy, delicious, simple Dal Dhokli; whomever never eaten dal dhokli do try this and you'll fall in love with this wonderful dish. I love dal dhokli too, but we make it very plan way than Madhavi' s version. Thanks again to everyone for sending these wonderful entries, if I have missed out any entry please let me know I'll makes the amendments. 1. Clean prawns remove the shell and marinate with all the ingredients listed under 'To Marinate' and keep aside for 1/2 hour to 1 hour or more if you have time. 2. Heat oil in a pan, add chopped onion and saute it until light pink. Add curry leaves, ginger-garlic paste and fry until golden brown. 3. Add all the powder masalas, tomato cook till tomato gets mashed and oil start leaving the edges in slow flame with stirring in intervals. 4. Add the marinated prawns, mix well and cook for 5-7 mins with lid on on medium to slow flame. 5. Add the water, salt to taste mix everything and cook with lid on until gravy becomes very thick and oil comes on top. 6. 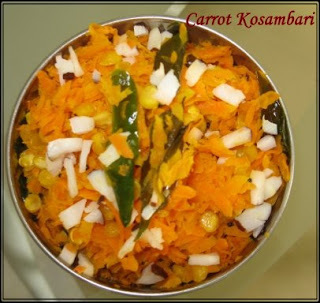 Serve with paratha/rice or pulav. 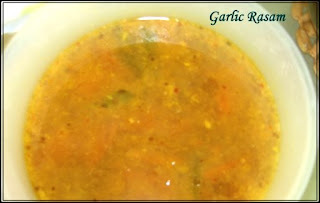 For more spicy version add another 1 tsp of red chili powder while cooking curry. 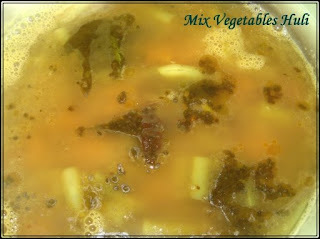 For tangy version add 1 cup beaten curd once gravy becomes thick and simmer for 5 mins in slow flame. You can also soak 1 tbsp tamarind in 1/4 cup water and extract thick pulp and add to curry once it starts to become thick and simmer for 5-8 mins in slow flame.